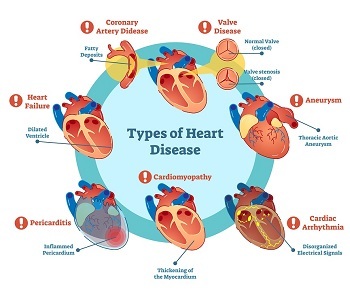 Heart disease otherwise known as arteriosclerosis is said to be caused by high cholesterol and high blood pressure, which is partially right, is a major killer in the US today. In spite of the low fat diet craze of the last 30 years, why? 1500 people lost their lives yesterday to arteriosclerosis. 1500 more people will lose their lives today in spite of the vast research and modern medicine. As a matter of fact, the two biggest killers in the USA today are heart disease and cancer. Many others and I believe that heart disease can be caused by systemic yeast infections and their mycotoxins. Or, the general state of malnutrition in the USA from eating nutritionally deficient foods that don’t provide the material that lets arteries stretch and remain pliable. Years ago some hot shot medical researcher linked high cholesterol to people that were dying of heart disease. So it was assumed that we must be getting to much cholesterol in our diets (he was right in a way). So the low fat craze was born and arteriosclerosis and cancer have risen in spite of the typical low fat diet of today. I think that heart problems and cancer are more than likely caused by the high sugar, yeast and fungus laden diets of today and the lack of nutrients because they cause inflammation. How could a beneficial substance found in every cell in the body raise to extremely high levels clogging arteries and causing strokes and arteriosclerosis? How Do Yeasts Contribute to Heart Disease? A.V. Constantini M.D. (WHO) spent 18 years of his life researching fungi and mycotoxins in foods. He wrote a book called Fungalbionics in 1994, you will never find it, it wasn't received well in the USA. He states: "There is a known cause of arteriosclerosis and that cause is fungi and their mycotoxins". He states that there is indeed a link between the foods we eat contaminated with fungus and mycotoxins. This book sets this possible cause of heart disease to rest once and for all and links them to systemic yeast infections and the fungi that cause them. In organ transplants, such as the heart, the drug Cyclosporine is given to keep the body from rejecting the organ. In all cases the patient’s blood cholesterol rises. Cyclosporine has also been found to kill fungi. 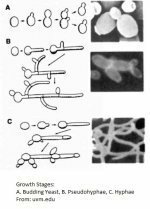 What I find to be interesting, is Cyclosporine is produced from the fungi Acremonium luzulae, so Cyclosporine is basically a mycotoxin. Alcohol, especially beer is produced from grains that are unfit for food processing. They are almost all universally contaminated by molds and mycotoxins. That is why your doctor tells you not to drink alcohol if you have high cholesterol or a heart condition such as arteriosclerosis. A study done in 1960 by the American Cancer Society found that people who eat more than 5 eggs a week had fewer heart attacks than those people that ate less than 5 eggs a week. Another study in 1970 found women could cut their risk of heart attacks 50% to 60% by eating nuts 5 or more times a week. That of course is raw nuts and not Peanuts, which are usually contaminated by molds. This is why many doctors and I believe; a fungus or its many mycotoxins may cause heart disease. Is it the only cause of heart disease? Of course not, but cholesterol is a binder of mycotoxins in the blood stream making them harmless and is an immune system response to a foreign invader. Cholesterol binds the mycotoxin or wraps it to put it simply, and makes the mycotoxin harmless to the body. If you do not treat the systemic yeast infections in the body caused by fungi, high cholesterol is the result because you have not removed the creator of the poisons... And arteriosclerosis or a heart attack will follow sooner or later. I would go on the diet for a month and take the natural alternatives listed on this website. If your cholesterol falls, and it more than likely will, then you will know beyond any doubt that it was indeed caused by systemic yeast infections. Then the whole process of keeping your cholesterol level down is really quite simple without the harsh modern medicines. For Heart Disease and Systemic Yeast Infection Home Click Here. If you have any questions about heart disease or high cholesterol (there is another cause) and their relation to systemic yeast infections, or yeast infection in general? Fill out the form on the contact page.